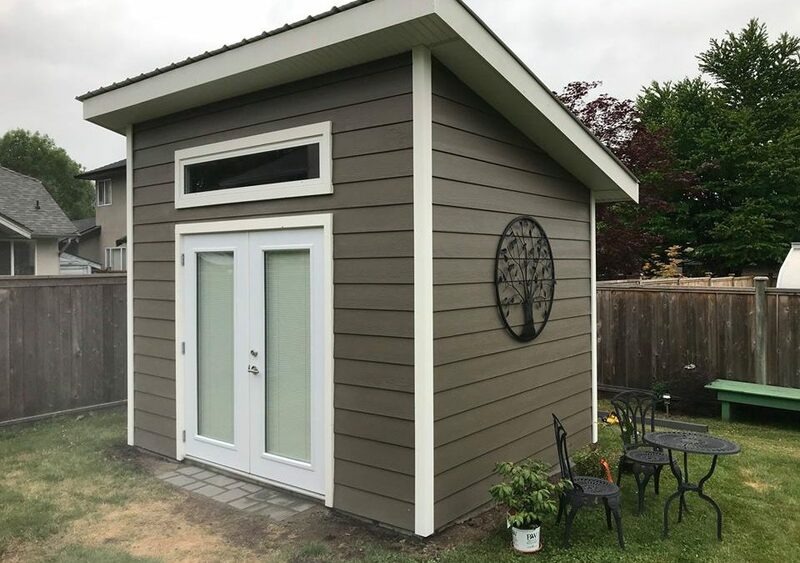 This shed was built for a client that into gardening and wanted something unique and artsy in her backyard. Initially her plans are to use it for storage. But eventually she plans to use it “she” shed. This shed features a modern design with a single sloped roof and a loft window above French doors. 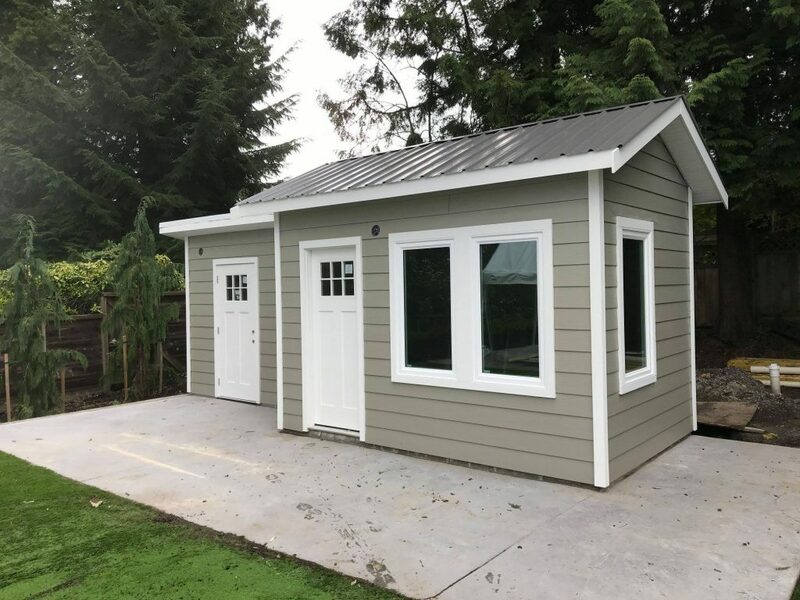 This shed is cladded in factory precolored fibre cement siding, wood look vinyl soffit and matching cloud white fascia, corner boards and casings. This shed is built on a concrete foundation for maximum durability.